German Shepherd pups, home bred, raised on Vet grade food. To good, capable owners. Parents at home. Bred for straight backs and large paws. Litter includes 1 Large white male and two smaller sable females. 7 pups left. First shots and Vet checked. Very healthy and paper trained. GSD Mix Pups~Vet Checked, 1st Shots, Worming done. Ready to go! 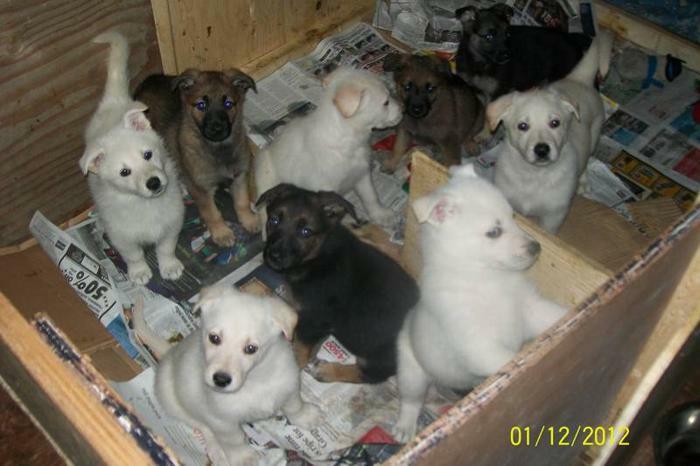 German Shep X Puppies ~ VET CHECKED, vax/worm done~ Ready to go!